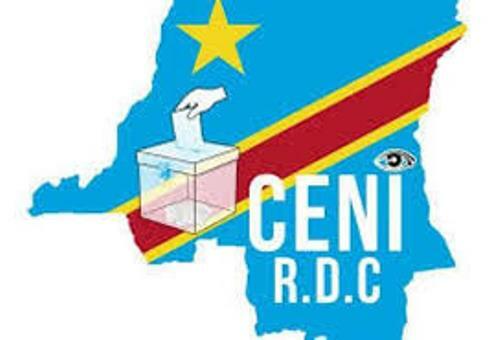 The outcome of the presidential election in the Democratic Republic of Congo (DRC) is being disputed, after the country’s electoral commission, CENI, Thursday release the interim results. The story is developing as events in DRC are evolving by the minute, with the opposition candidate Martin Fayulu reportedly dismissing the announced results as “a fraud”. The results have "nothing to do with the truth" he declared, according to the BBC. It would be recalled that early Thursday morning, the CENI released provisional election results, which show that the opposition leader in the DRC election, Felix Tshisekedi, is the winner of the election. A BBC report online seen around 8 am Thursday morning said CENI head Corneille Nangaa declared that “Tshisekedi had received 38.5% of the vote and had been ‘provisionally declared the elected president’ ”. The global broadcaster said turnout was “reportedly 48 per cent”, and the figures given by CENI are that Tshidekedi got 7 million votes, Martin Fayulu the other opposition candidate received 6.4 million votes and Emmanuel Shadary the candidate of the ruling party came third with 4.4 million votes. “A spokesman for Shadary, who had been (President Joseph) Kabila's hand-picked candidate and was expected to win, accepted the defeat, saying "the Congolese people have chosen and democracy has triumphed". The regional body SADC, as well as the African Union are also yet to react to Thursday’s developments. APA reported Wednesday that presidents Cyril Ramaphosa of South Africa and Edgar Lungu of Zambia called on the electoral commission (CENI) in the Democratic Republic of Congo (DRC) “to speedily finalise the vote tabulation and release the election results in order to maintain the credibility of elections. “The two Presidents underscored that the delay in releasing the results of the elections can lead to suspicions and compromise peace and stability of the country,” according to the APA report. As regards international reaction outside Africa, French Foreign Minister Yves Le Drian told CNews: "We must have clarity on these results, which are the opposite of what we expected." Belgium, the former colonial power in DRC, “has also expressed doubts about the election result”. At the level of the UN, the secretary general Antonio Guterres has “appealed for all parties to refrain from violence”. Meanwhile, according to the BBC, the capital Kinshasa and other key cities remain calm on Thursday. With all eyes now on the CENI, there is fear that announcement of the final result would be followed by "unrest in the country".